My baby is five months old and exclusively breastfed; my husband recently tried to feed her using a bottle but, having not had a bottle for quite some time, she completely refused it. 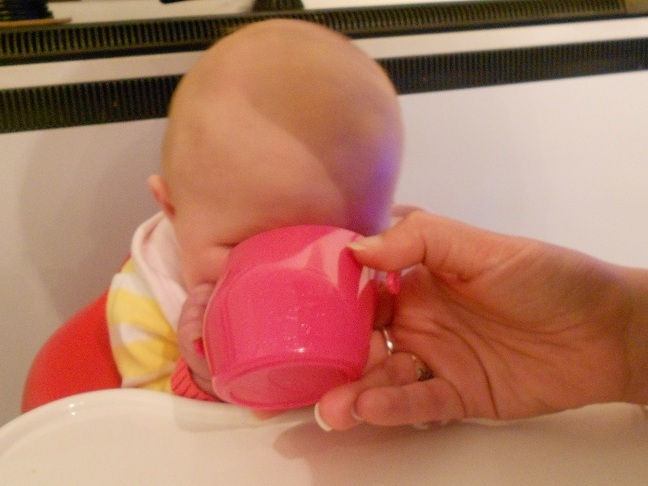 I had heard about Doidy cups being recommended as cups to help babies learn to drink from an open rimmed cup from as young as three months (for bottle fed babies it’s recommended they start using the Doidy from six months) so decided to see if my baby girl would be able to manage it. Bickiepegs, the company behind the Doidy cup, kindly sent me some cups to test and we had our first try this week using some expressed breastmilk I had thawed out. My first impression of the Doidy was that it has a very distinctive shape; it looks as though it’s leaning, but the reason behind this is that babies don’t need to tilt it so much to get a drink, and they can also see the liquid in the cup as they drink from it. I love the theory behind it but was still sceptical as to whether my tiny five month old would be able to manage to drink from an open rimmed cup. I started off with a small amount of milk in the cup and held it to my baby’s lips, without tipping it. Once she had tasted the milk she started lapping at it with her tongue and soon held onto one of the handles herself. Of course some milk dribbled down her but it was a surprisingly small amount considering I had envisioned milk going everywhere except her mouth! I could hear her gulp and swallow so I knew she was drinking it. After a few sips I took the cup away to mop her up and give her a break and she reached out to have it back. She did not like me taking it from her, and grabbed at the handle as soon as I brought it back to her. For a baby who had never, ever tried a cup before, she did amazingly well and using the Doidy seemed to be so natural to her. I expected a cup with an open rim to be difficult for a baby so young but she really enjoyed drinking from it (see the photo below!) and I am happy because I know cups are best for babies’ teeth. Overall I would highly recommend the Doidy cup to anyone looking to transition their baby to a cup. 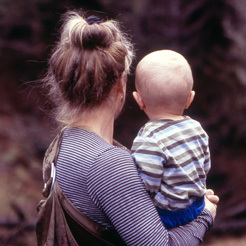 It’s so helpful in our situation, where my baby won’t take a bottle, and I plan to keep giving her opportunities to practise with the Doidy, to get her used to a cup and continue as we work through the weaning process without needing to use a bottle at all. The Doidy cup comes in a wide range of colours to suit any taste; my favourite is the sparkly pink one you can see in the photo below. 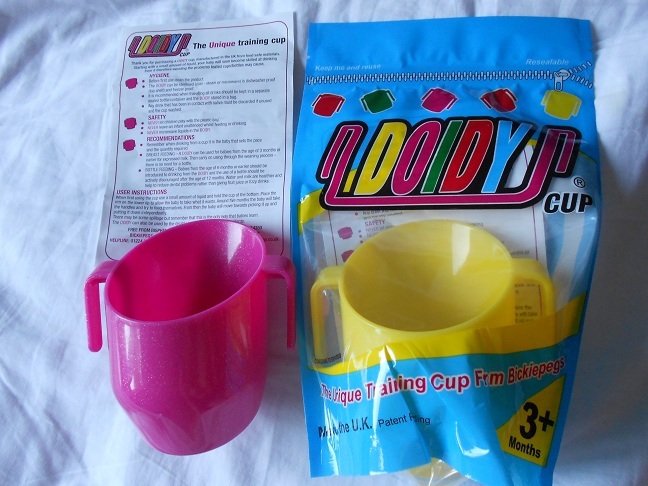 Doidy cups are available from the Bickiepegs website and are a bargain at only £3.80 per cup.